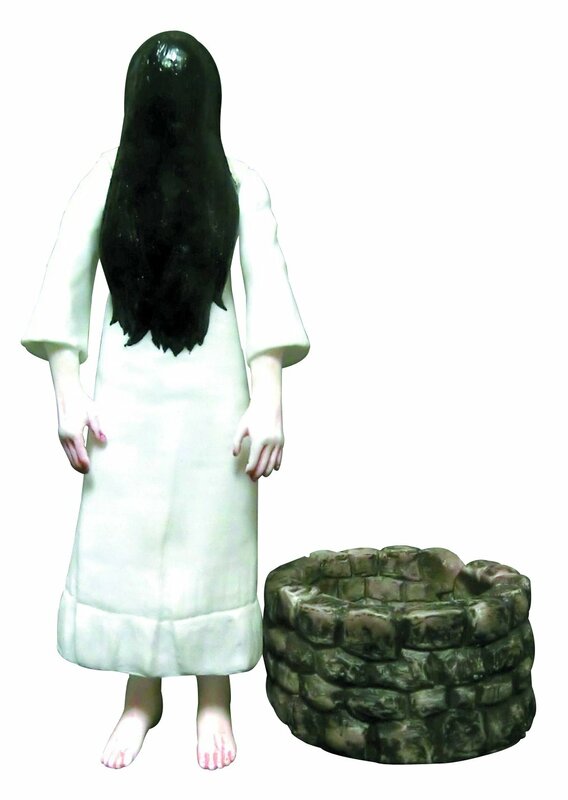 It's a faceless Sadako Yamamura action figure from the movie Ringu. I'd be very tempted to buy one of these if the price was say 25% of what they're asking for it. Last edited by Osito Polar; 04-05-2014 at 10:34 PM. "One, Two, or Three Sensory-Deprivation Float Sessions with Fruit and Spring Water at Enlighten Others (Up to 58% Off)...Enlighten Others' team of relaxation experts detoxify, clear minds, and potentially render a range of health benefits with a tag-team of sensory deprivation and massage. Within the soundproof confines of a sensory-deprivation tank, 800 pounds of epsom salts mix with water and cause the body to bob like a cork in a space station. Elsewhere, staff members use massage styles such as deep tissue and sports massage to melt away stress and pain. If requested, they can also dispense refreshing add-ons such as fruit, hot tea, or high-pitched laughter." "Microdermabrasion makes faces look younger, allowing parents to pose as their own children during high-school football tryouts." "Many people want baby-soft skin but don't want to do the work of covering it with tears and drool every day. Renew skin the easy way with this Groupon...During such treatments, dermatologists load a brush’s bristles with an acidic gel and apply it to the skin, at which point the caustic acids quickly, but controllably, damage the surface...Naturally occurring acids, such as lactic and fruit acids, rarely penetrate the skin's surface, making them well suited to tackling superficial lines or blemishes, whereas deeper wrinkles and scars may warrant the use of the more deeply penetrating carbolic acid." "Health and wellness counselors give tips on revamping bad habits, and foot-detox programs draw out toxins from past lives spent eating poorly and jumping in industrial waste in search of superpowers." Clipping from a big toenail (left foot) US$4,600. PM me if interested. Free shipping worldwide. For $4,600, I'd want the whole foot. I'll sell mine for $4,600,000. But you pay now and don't get it until after I die of old age. Or transmigrate. i replied to a posting on craigslist about a strange large "space rock" that was estimated to be several hundreds of years old with a baby "space egg" on top that fit perfectly into a little depression on the larger rock. they were selling both pieces as lawn ornaments for $700. i wanted to see a picture of this thing out of curiosity but once i emailed they started pushing a bunch of other stuff they wanted to sell, so i gave up on it. This is a bad deal. Whole cadavers go for as little as $1,300 these days. Probably not for a really nice one, though.